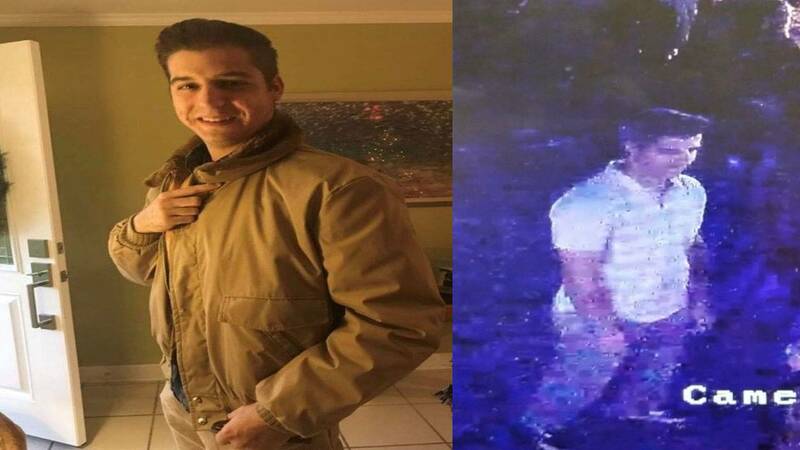 MELBOURNE, Fla. - Melbourne police have recovered the body of a 21-year-old man who was reported missing Sunday, Capt. Marcus Claycomb confirmed to News 6 partner Florida Today. Front Street Park was closed to the public as police continued to search the area. Melbourne police Crime Scene Investigators were at the scene. Marine units from Melbourne Police Department were patrolling the Indian River Lagoon near the Melbourne Causeway Tuesday around 3 p.m.
Matthew Robineau was reported missing Sunday when his father received a pocket dial from him before using his iPhone's location to find his smart phone and other belongings at Geiger Point near the Melbourne Causeway. Police reported Robineau had been in downtown Melbourne that night before being seen on surveillance camera at a nearby gas station before he was last heard from around 2 a.m. Sunday. Robineau was officially considered a missing person when he did not arrive for work Sunday morning.